The much-anticipated FIPS 201-2 draft was released in March. 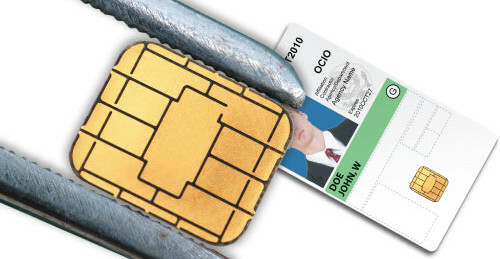 The team at the National Institute of Standards and Technology had been collecting comments on possible additions to the U.S. federal smart card standard since the first specification was released in 2005. The new draft focuses on clearing up some confusion from the first standard, enhancing functionality and security while not adding a tremendous amount of cost to comply with the new standard, says Bill MacGregor, a computer scientist with the Computer Security Division at the agency. For the most part the draft has been well received. Some, however, have expressed disappointment that other form factors for the credential, such as mobile devices, and additional applications were not addressed. The Interagency Advisory Board plans to encourage NIST to enable other form factors in the revised specification. “HSPD-12 doesn’t specifically call for a card but rather leaves it open for other devices,” says Tim Baldridge, chair of the IAB and project manager for NASA’s Common Badging and Access Control System. Baldridge made the comments during the April IAB meeting stating that the group is going to submit comments recommending other form factors. When collecting comments NIST divided them into three categories. First were the comments that were in scope of the specification and NIST members knew how to address the question. The second category contained questions that were possibly in scope but the team didn’t know how to address the question. The last category contained concerns that didn’t make sense to the team and were out of scope. FIPS 201-2 proposes synchronizing the card, digital certificate and biometric lifetimes on the card, MacGregor says. The proposal would extend the card to six years from five and extended the certificates to three years and the biometric data to 12 years. The aim of these changes it to reduce the number of visits an employee would have to make to an issuer. Another change is to the biometric chain of trust, MacGregor says. If an employee’s credential is lost, stolen or damaged, in the past they would have to repeat the entire enrollment process, MacGregor says. The draft spec would enable the employee to be identified using the biometric stored on the system and issued a new ID. The same would be true if an employee transferred between federal agencies, MacGregor says. Instead of repeating the background check and issuance process the employee would be identified with the stored biometric and issued a credential. The biometric of choice is still fingerprint, but FIPS 201-2 does enable iris as an alternative biometric, MacGregor says. While the failure to enroll rate for fingerprint is low, 1% or less, it still exists and the number can add up when issuing credentials to more than 6 million employees. For now iris is only being considered for use in enrollment and to verify a chain of trust. But MacGregor expects a discussion to take place when comments are collected on the draft around how the biometric could potentially be used more broadly. “We wanted to take all possible care to prevent disruption of current deployments (and) minimize the impact on existing issuance stations,” he says. Match on card is also proposed in the draft, MacGregor says. Instead of activating the card with a PIN the user could present a fingerprint or iris. The matching of the biometric would also take place on the card, leading to greater security because the biometric information would never leave the card. The draft also enables match-on-card functionality to be used for other applications, such as physical and logical access control, MacGregor says. The changes in how biometrics would be used in the draft spec are encouraging, says Walter Hamilton, chairman of the board at the International Biometrics and Identification Association. Including biometrics in the chain of trust and enabling it for physical access control are good moves, he says. “It creates a framework for the use of biometrics for contactless access control without requiring entry of a six to eight digit PIN,” he says. FIPS 201-2 also aims to clear up some ambiguity with the public key infrastructure plans from the original standard, MacGregor says. 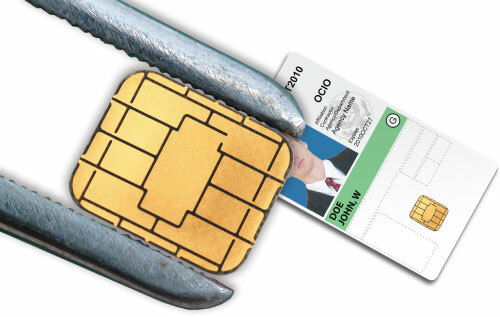 The draft calls for a mandatory asymmetric card authentication key. This wasn’t in the first FIPS 201 standard, which called for an asymmetric, symmetric or both types of keys. It was, however, specified in NIST’s Special Publication 800-73. Since the first FIPS 201 spec has some ambiguity it prevented one type of key from being used throughout the government, MacGregor says. “You didn’t know what kind of card authentication key would be in the card,” he adds. This hampered true interoperability. The asymmetric key would be mandatory with the new draft. “Many people like the asymmetric key because the key management is simpler and less expensive,” MacGregor says. This means a card won’t give up any data unless the reader or application is authenticated, which will present possible data skimming, MacGregor says. Device authentication lends itself to another request that has surfaced in recent years: support for other form factors, such as mobile devices. “This was in the second tier of questions, important but no simple answers,” MacGregor says. Supporting device authentication and encrypting secure sessions between the smart card and a mobile device puts us one step closer to enabling other form factors, MacGregor says. But there are questions to be answered before credentials could be completely moved to a mobile device. Issues surrounding the viability of a complete PKI solution on the device persist, and the security of mobile devices remains up for debate. Steve Howard, vice president of operations at CertiPath, suggests that not tackling alternative form factors was a glaring omission in the draft. While there may be many questions on how to port a PIV to a mobile device now, these questions won’t exist in another five years. The specification could be outdated by the time it comes out if alternatives form factors aren’t addressed in some way. The IAB has come up with some ways that other form factors could be enabled, Baldridge says. The secure elements on the devices and software would need to meet specific FIPS 140 encryption standards. Also missing from FIPS 201-2 was the possibility of adding agency-specific applications to the PIV. The Defense Department has been considering transit and payment applications for the Common Access Card and many officials expected something to be added to the new spec related to other applications. MacGregor says that adding other applications can be difficult, and any new application would have to pass additional cryptographic standards testing and validation. While the work on FIPS 201-2 has been going on for some time it’s not going be over soon. Macgregor hopes to resolve the comments from others by the end of 2011, but that could be pushed back depending on the number and complexity of the comments received on the draft. As presented by Hildegard Ferraiolo, a computer scientist at NIST, at the FIPS 201-2 Workshop in April at in Gaithersburg, Md.